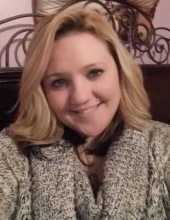 Pamela Jean Ramos, 32, of Newton Grove, died Monday, November 12th, 2018. Affectionately called “Pam”, she was born in Beckley, West Virginia on December 31, 1985 to Duane Tuck and Tina Hager. She was preceded in death by her sister Jessica Aguilar. Since the age of 17, Pam was a care giver and had most recently worked for Senior Helpers in Dunn. She was known for being a loving and caring woman who devoted her life to caring for her patients. Pam will be remembered most as a beautiful and caring person. She was brave, strong, kind, brilliant and so much more to those who loved her. Her smile lit up a room and she always had jokes. She was someone whom everyone turned to as she was a peace maker and the one who unified the family. She loved her children and family and would give and do anything for them. Pam became a mother at a very young age but her hopes and dreams were that her children were always happy and healthy. A funeral service will be held 11:00 am, Tuesday, November 20, 2018 at Skinner & Smith Funeral Home Chapel with Dr. Len Keever. Pam is survived by her husband Pedro Torres Ramos; sons, Ramiro Rios and Manuel Rios; daughters, Elizabeth Coria, Daniella Torres, and Emily Jean Ramos; brother, William Hager; and sisters, Tonya Browning and Melissa Hager. The family will receive friends at 10:00am, one hour prior to service at Skinner & Smith Funeral Home. To send flowers or a remembrance gift to the family of Pamela Jean Ramos, please visit our Tribute Store. "Email Address" would like to share the life celebration of Pamela Jean Ramos. Click on the "link" to go to share a favorite memory or leave a condolence message for the family.